The top-selling yearling bull was Lot 3, Leland Frankly 018-8522, an April 4, 2018, son of WFL Merlin 018A. He sold for $17,000 to Saunders Land and Livestock of Gillette, Wyoming. Mark Brunelle of Williston, North Dakota, purchased lot 15, Leland Frankly 018-8596, an April 7, 2018, son of WFL Merlin 018A, for $16,500. Westphal Red Angus of Grass Range, Montana, purchased Lot 5, Leland Dictate 8540, an April 5, 2018, son of 3SSC Dictate C74, for $16,000. Saunders Land and Livestock of Gillette, Wyoming, purchased Lot 7, Leland Merlot 8584, an April 7, 2018, son of Leland Frankly 018-6602, for $14,500. They also purchased Lot 16, Leland Frankie 5628-8444, a March 28,2018, son of Leland Frankly 108A-5628, for $14,000. The top-selling age-advantaged bull was Lot 41, Koester Dimension 760, an Aug. 23, 2017, son of 3SCC Domain A163. He sold to Croissant Red Angus of Briggsdale, Colorado, and Solid Rock Red Angus of Limon, Colorado, for $20,000. Quigley Ranch Co. of Avon, Montana, purchased Lot 30, Koester Dimension 770, an Aug. 24, 2017, son of 3SCC Domain A163, for $9,000. Ostendorf Red Angus of Powderville, Montana, selected two 3SCC Domain A163 sons for $8,000 each. Lot 40, Koester Dimension 720, born Aug. 18, 2017, and Lot 133, Koester Dimension 777, born Aug. 26, 2017. The top-selling heifer was Lot 211, Leland Frankie 8464, a March 30, 2018, daughter of Leland Frankly 018A-5628. She sold to C. Wayne Vance of Ray, North Dakota, for $2,800. Lot 221, Leland Dictate 8412, a March 23, 2018, daughter of 3SCC Dictate C74, sold to Tim Dwyer of Alexander, North Dakota, for $2,500. 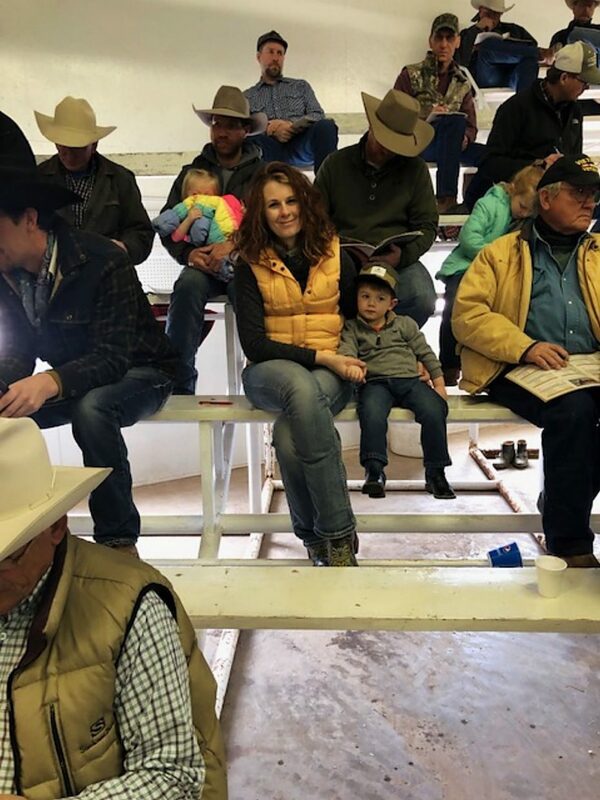 Volume bull buyers were Jason and Peggy Leiseth of Arnegard, North Dakota with 10 bulls; Paul and Jake Jacobson of Max, North Dakota, with eight bulls; and Saunders Land and Livestock of Gillette, Wyoming, with six bulls. Volume heifer buyers were C. Wayne Vance of Ray, North Dakota, with seven head; Blake Wold of Watford City with seven head; Wade Bock family with six head; and Joy Patten of Watford City, North Dakota, with six head.